Having just read two most unlikely companions in Harriet Beecher Stowe’s Uncle Tom’s Cabin and Pamela Crane’s The Scream of Silence, I stumbled across two reads from earlier in the year – Jenny Diski’s The Sixties and C.S. Lewis’s autobiographical Surprised by Joy: The Shape of My Early Life. Diski, who died in 2016 tweeting to her last days, describes in her 2009 book a decade much more colourful that mine. Her sixties was the real thing, not the toned-down version of the outlying suburbs of London where I grew up. But then, who’s to say what was and wasn’t real? Written more than three decades after the events with the hindsight of a dazzling literary mind, The Sixties is the sixties that I wish I’d had, but perhaps nobody had. I don’t have much to say about Surprised by Joy. I gulped Lewis’s fiction as a teenager, but decades later he comes across as finicky and laboured. I found this book worthy but not especially convincing in the writer’s explanation of the discovery of his faith. The account of his sadistic boarding school was the high point. I learnt recently that the school, carefully disguised as ‘Belsen’, was located in my home town in England on a road I have walked hundreds of times, probably more than once with one of his novels in my pocket. Now when it comes to worthy, it takes a lot to beat Harriet Beecher Stowe. 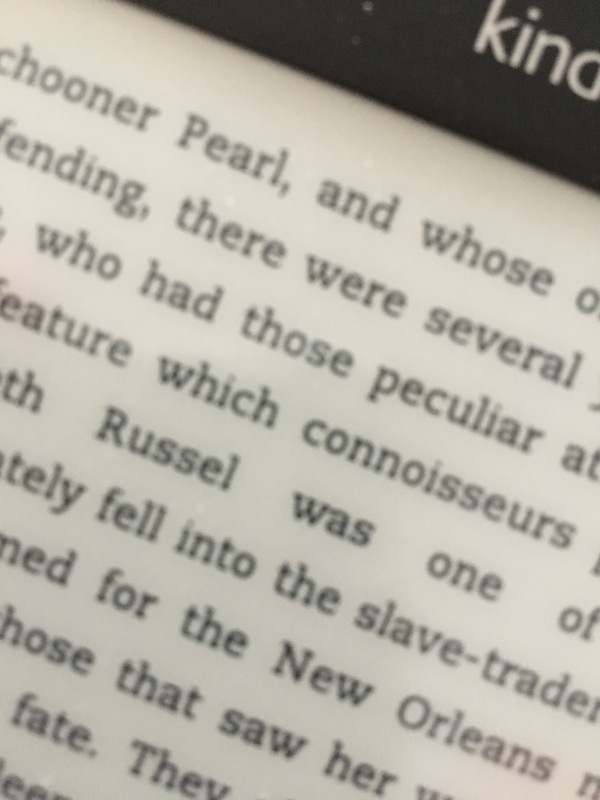 Somehow, I’d missed Uncle Tom’s Cabin in my reading career, so I downloaded a free copy and braced myself. I won’t comment on the theme of the book, other than to say that Stowe was a fierce critic of slavery, and that her novel sold many thousands of copies when it was published in 1852. What interested me as a writer was the difference in literary technique in the ensuing one and half centuries. Three aspects stood out: One was the manner in which the author intersperses the narrative with her own critique of slavery, addressing the reader directly before hopping back into the action; the second was the unfashionable treatment of point of view, with Stowe directing proceedings from on high and dropping into the consciousnesses of her characters at will; the third was the sometimes impenetrable rendition of slave speech, which fogs the page and invites the eye to skip down. Nevertheless, I found Uncle Tom’s Cabin greatly moving, even though I suspect that Stowe would have got a C-minus in a modern creative writing course. Let me finish with something quite different in Pamela Crane’s short story The Scream of Silence. Crane writes psychological thrillers of terrific quality, and this short story – a taster of a longer work that is under way -is no exception. I loved the sense of place – the grittier side of Raleigh and Durham in North Carolina, as well as the desperate whackiness of the first-person narrator. I also admire Crane’s professional and entrepreneurial approach to the difficult business of being a writer. Look her up. Pamela Crane looks inside a murder victim’s heart. 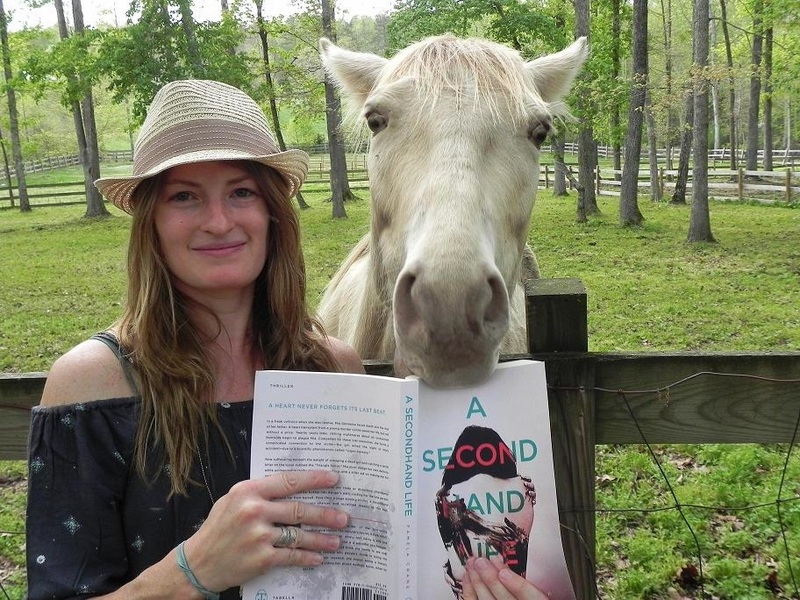 Indie novelist Pamela Crane’s A Secondhand Life found its way into my Kindle this year. I needed a rest in my project to re-read all of William Faulkner’s main works, and Pamela’s book fell between As I Lay Dying and Soldier’s Pay. Did I need a rest! Did I need a crisp, refreshing read! A Secondhand Life is based on a clever plot premise: Could the recipient of a transplanted organ experience the thoughts and feelings of the donor? Pamela Crane delves into the implications of the premise: How would a donor recipient reconcile her own and the donor’s mind? Would it be possible to explore the details of memories evoked by the donor organ? On top of this foundation, the author erects a thriller plot that makes for some highly original characterisations and twists. By the time I got to the ending, I had sticky fingers from counting red herrings. My five star review can be found here. It has to be said, however, that the plot premise does have an antecedent. I did some checking and found that a 1971 UK comedy movie Percy runs a similar line; you don’t even need to click the link to guess which organ seventies comic actor Hywell Bennett received. The Kinks did the soundtrack, by the way. Q- What compels you to write? A- Four little kids clambering for my focus all day, combined with no adult time, compels me to write. Writing is my break from reality…and it’s scary to say that living in the mind of a serial killer is much more exciting than changing diapers and housekeeping! A- What would you (as author, not narrator) say to Brad if you met him in a bar? Q- R.U.N. Run away from Mia Germaine as fast as you possibly can, Brad. A chick who chases serial killers–you don’t need that drama. Romantic relationships are tough enough without your significant other bringing a murderer into the mix. A- When I write, my characters often take over the plot, and I am sometimes surprised at where they take the book. Does that happen to you? Q- Even though I believe I create my characters, you’re right–they somehow live outside of my imagination and evolve independent of my will. As my characters develop through the story-writing phase, the plot needs to stay in line with who they are. In my thriller A Secondhand Life, Mia Germaine is stubborn (uh, nothing like me…but don’t ask my husband about this! ), which causes her to nearly lose the love of her life, Brad. I hadn’t planned for that relationship tension, but it happened because of who she is (certainly not based on myself–did I say that already? ).